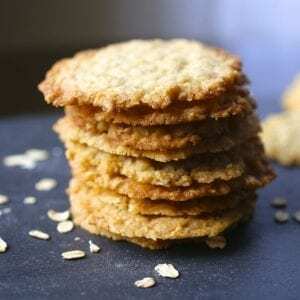 Oatmeal Lace Cookies. So pretty. So crispy. They get their name from the fact that they are so delicate, you can almost see through them – like lace. Fancy! 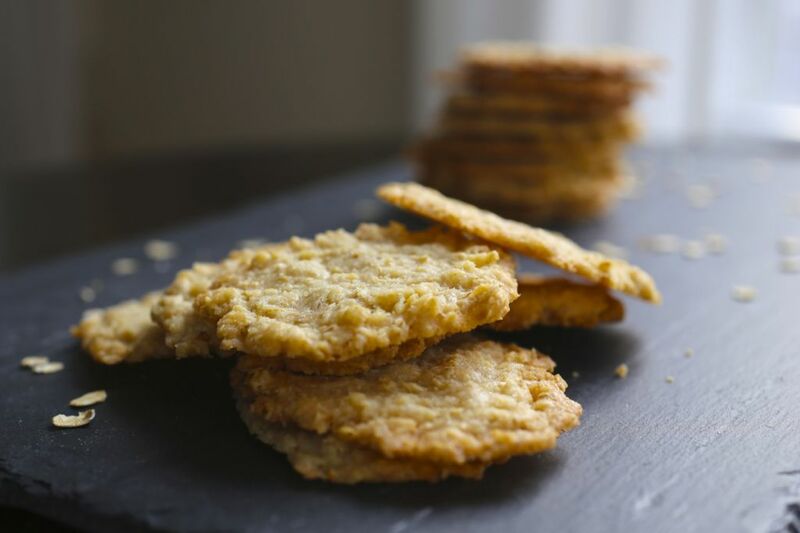 These oatmeal lace cookies have always had a hallowed place in our holiday gift-bag lineup, along with pecan crescents and English toffee with chocolate. They’re a lot of fun to make and are always a great hit. I actually have two different recipes that I use for Lace cookies (I’ll blog the other one another time) but I prefer this version for the holidays because it makes a slightly less fragile cookie. That means you can actually give them as gifts without worrying that they will become a pile of oat dust by the time someone receives them. “Happy Christmas, friend! Enjoy!” (Friend opens box, sees a mound of crumbs). “Um…thanks?” (friend gives cookies to dog). Using electric mixer, beat sugar and butter until well blended. Beat in flour, vanilla extract, and salt. Stir in oats. Cover and refrigerate cookie dough 1 hour. Roll 1 tablespoon of dough into a ball. Place dough ball on baking sheet, spacing 3½ inches apart (cookies will spread during baking). Repeat until sheet is full. Use the bottom of a drinking glass or a measuring cup to flatten cookies to 1½-inch rounds. After a grand fairy cake failure on Sunday, I think I need something this simple to reassure me my cooking skills have not vapourised. Going to make these on New Year’s Day. They will make a nice sweet change to the endless cheese straws I baked before Christmas. Ha, a grand fairy cake failure sounds like a great title for a rom-com. I’m sure it wasn’t fun though. I’m sure these will go better. Oops! Technical hitch, should be all working now. Enjoy the cookies! Glad you liked them. 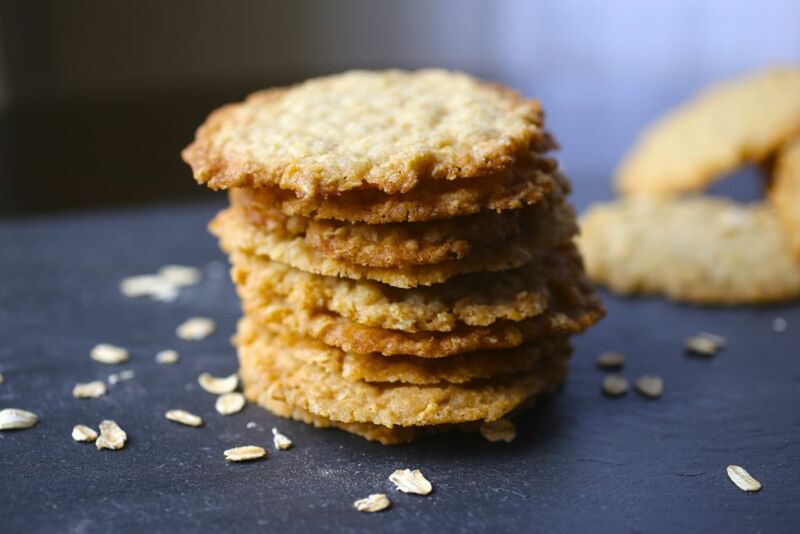 They are definitely meant to have a subtle vanilla flavor since they are so simple (no chocolate, nuts, jam etc) but our batch didn’t have a very strong vanilla taste. It’s definitely possible that uk extract is stronger. I’m going to do a little research and possibly adapt the recipe.